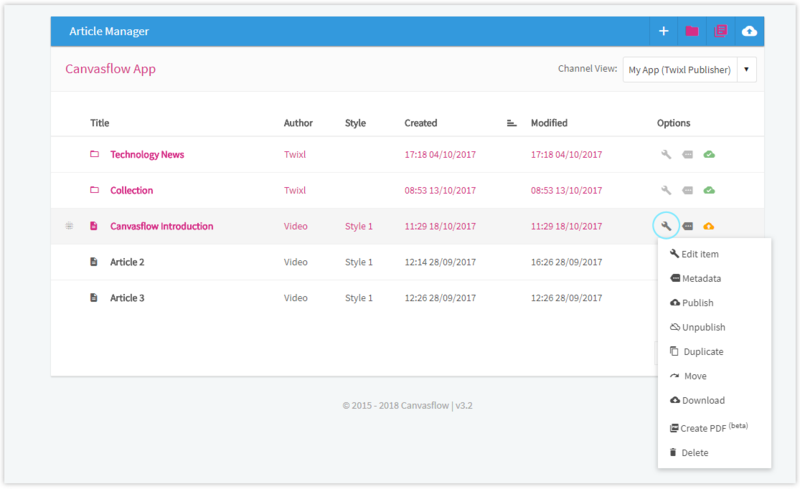 Content Type - As the Canvasflow Twixl integration supports Twixl content items, specific content items can be chosen, including PDF, MP4, Image etc. 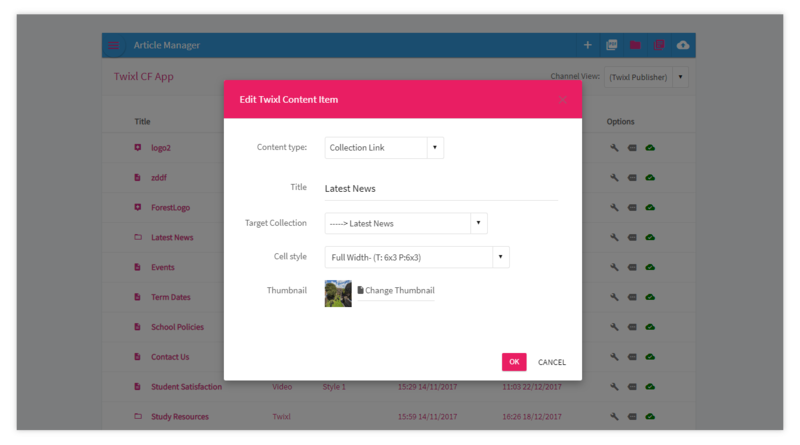 Cell Style - This option allows a cell style (created within Twixl Distribution Platform) to be applied to a piece of content. More information on Twixl Cell Styles. Cell style's will be displayed with the name, and the column/row structure of that style. E.g. "T: 6x3" indicates the cell style's tablet structure is 6 columns wide, 3 rows deep. "P" refers to Phone.